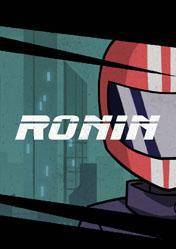 This product is a digital cd key of Ronin and it must be added on a valid Steam account to download. Ronin is a platform action game in which you play as a Ronin, a samurai without lord, and we will have to advance through the levels destroying our enemies with our Katana. One of the peculiarities of this game, is that it is an action game by turns, in which we must carefully plan our moves. We advance through more than fifteen complex missions and deal with lots of enemies. Remember that this is a digital code to activate through the Steam platform and shipping times of the cd key and payment methods vary depending on the store, so we recommend reading the information on each . There are no comments yet about Ronin . You can be the first one! Avengers Endgame Trailer Reveals Ronin -- What's Going On With Hawkeye?